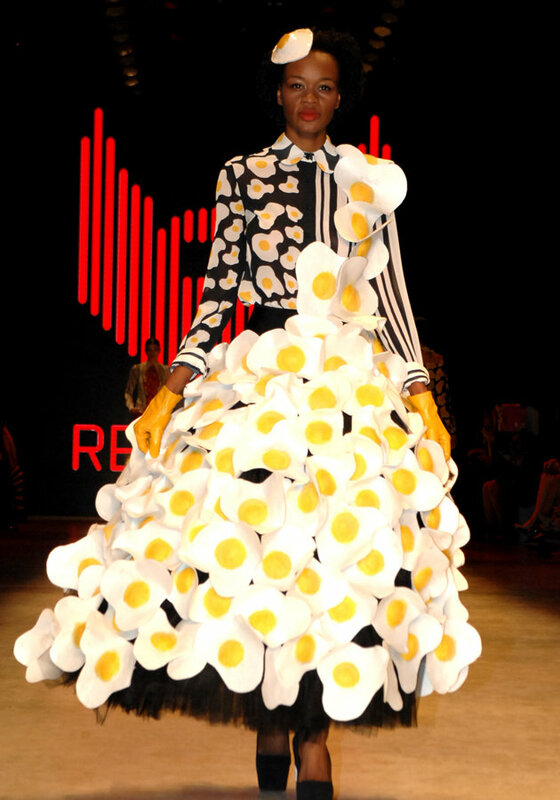 Here’s my “Freaky Friday Fashion” pics for the week- “Eggs Over-Obsessive”. It seems a little scrambled to me, but stranger things have happened. I’m just waiting for someone to come up with a clutch bag that looks like rye toast to complete the look. OK, I’m off to Denny’s for breakfast now.